I loved this pasta dish. So simple, but so tasty! 1. COOK pasta in large saucepan as directed on package, omitting salt and adding asparagus to boiling water for the last 2 min. Drain. 2. MEANWHILE, cook peppers and tomatoes in large skillet on medium-high heat 2 to 3 min. or until crisp-tender, stirring frequently. 3. ADD pasta mixture, broth, cream cheese and oregano to skillet; mix well. Cook and stir 5 min. or until sauce is slightly thickened. Top with cheese; cook 2 to 3 min. or until cheese begins to melt. 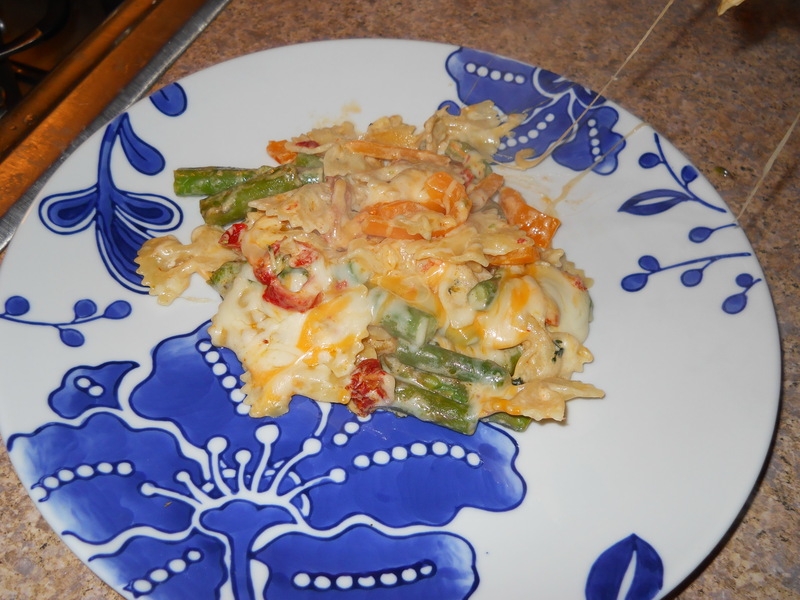 Posted in Main Dish and tagged asparagus, chicken broth, cream cheese, orange pepper, oregano, pasta, shredded Italian three cheese blend, sun-dried tomatoes. Bookmark the permalink. A nice, simple way to cook and eat asparagus. I didn’t trim my asparagus nor measure the ingredients. I just tossed them in a pan, drizzled with oil, salted, and peppered. No turning either. They were still delicious. 1. 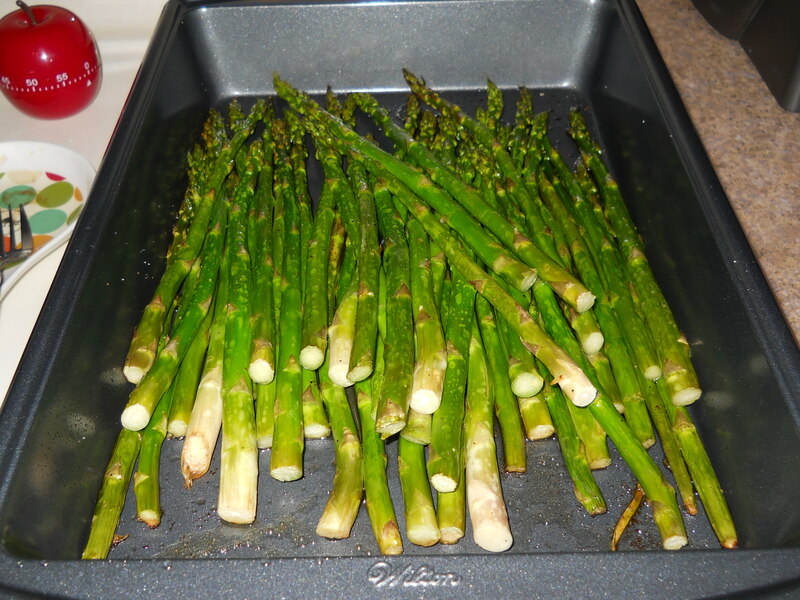 Place asparagus in a shallow baking dish coated with non-stick cooking spray. 2. Drizzle with oil; sprinkle with pepper and salt. Toss to coat. 3. Bake, uncovered, at 450 degrees for 14 minutes or until crisp-tender, turning occasionally. Posted in Vegetables and tagged asparagus, vegetables. Bookmark the permalink.